Despite the New York Yankees bringing in veteran infielders Troy Tulowitzki and DJ LeMahieu, the team plans on featuring both Miguel Andujar and Gleyber Torres in their regular starting roles. Some might get the feeling that the Yanks brought on five Gold Gloves between the two signings to supplant the youthful duo if they begin to struggle defensively. 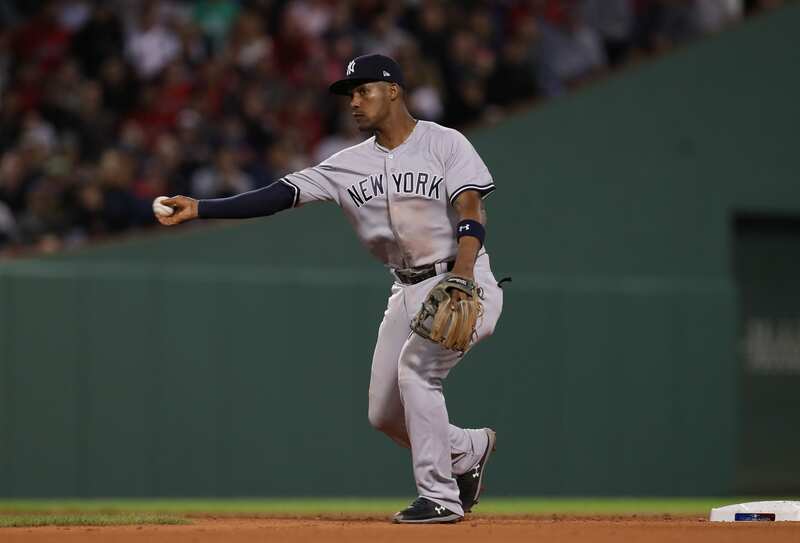 Andujar recorded 15 errors at third-base and Torres a combined 17 errors at shortstop and second-base. It was clear that Torres was better fit for the second-base position, simply due to his lack of experience at shortstop and the requirements it demands at the professional level. Constant action and challenges arise in the most important part of the infield. Didi Gregorius racked up six errors in 2018 (132 games) – he had a stellar year defensively and set a record for homers at SS for the Yankees with 27. I wouldn’t anticipate Torres moving from the second-base position for the time being. General manager Brian Cashman made it apparent that Tulowitzki would have the first crack at SS while Gregorius recovers from Tommy John surgery. One of the most important actions the Yankees must take moving forward is to instill confidence in their younger players. Putting Andujar and Torres back into the fire right off the bat is essential, as pulling them will only batter their confidence and show the team’s lack of faith in their every-day starters. While Andujar will likely struggle defensively his first few years, he was a revelation offensively – .297 BA with 47 doubles and 27 homers. Keeping him in the lineup at all costs is a priority, especially if he continues to develop at third-base. His potential is sky-high. If he can round-out his defensive skills he could be one of the better infielders in the game. The Yankees’ home-grown talent began the year on fire, finishing with a .271 BA. He hit above average in total but also smashed 24 homers for a player that wasn’t considered a slugger. It’s possible the Yankees influenced him to increase his swing dynamics to produce more homers, which ultimately paid off. It will be interesting to see what the Yanks do this offseason to help him improve his game.